There are few things in this world as heartwarming as unlikely animal friendships. It's like they provide a faint bit of hope that if they can get along despite their vast differences, so can we. That, and it's cute as hell. Case in point: this heartbroken pet beagle that befriended a possum after she lost her puppies and now spends her days toting her new best friend on her back. 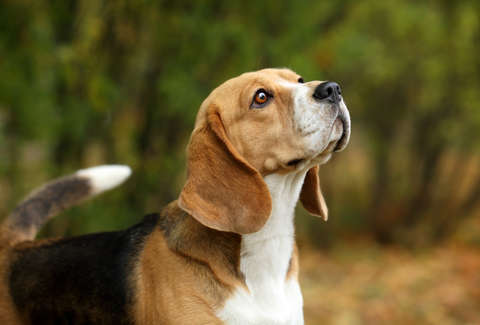 Molly the Beagle, who lives with her owners on a cattle ranch west of Melbourne, Australia, was dealt a devastating blow recently when her entire litter of puppies died during birth. However, in her period of mourning, she encountered an abandoned baby possum and adopted it as her own, and now she drags it around on her back like the doting mother she longed to be. It's fine, we'll wait here while you grab a tissue. The Moyles, Molly's owners, say that the adorable marsupial simply jumped onto Molly's back one day, and that they've been fast friends since. In fact, even though Poss -- the name the Moyles have given the possum -- is nocturnal and sleeps in a tree for most of the day, Molly reportedly keeps watch down below, and totes her around the Moyle's property. To understand their close bond, you only need to briefly observe their interaction, as Molly stands calmly and proud as Poss clings to her back, wagging its tail. It's unclear how long Poss will stick around, or if it'll eventually mature and want to break free, but from the looks of it, they seem all but inseparable. Sorry bird and chameleon, but we have a new pair of interspecies BFFs to obsess over now.